Conifer leaves consist of scales or needles, varying in length and width. 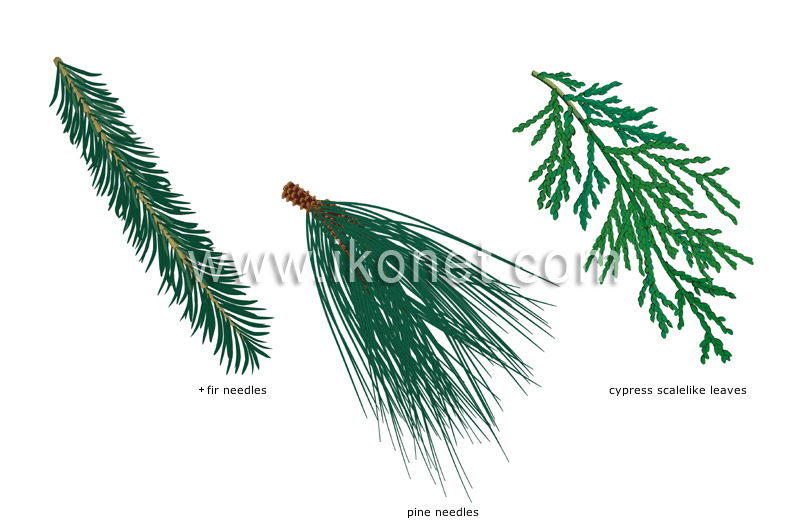 Pine leaves consist of long slender pointed needles; they grow in groups of two, three or five out of the branch. The cypress has scales or small short stiff leaves whose blades grow directly out of the twig. Fir leaves consist of short hard flattened needles; each needle grows directly out of the branch.